Multi-level marketing (MLM) software aids direct sales companies and distributors throughout the sales and marketing process––it provides features that assist with lead generation, marketing, customer management, inventory, and distribution. Multi-level marketing software is intended for MLM, or network marketing, specific businesses. MLM companies use these systems to deploy a marketing strategy where profit is derived from two sources––direct sales generated by individual salespeople, and commission granted to salespeople based on sales by other individuals they have recruited. Multi-level marketing platforms often function as an e-commerce tool, providing businesses with payment and sales tax management. Multi-level Marketing (MLM) reviews by real, verified users. Find unbiased ratings on user satisfaction, features, and price based on the most reviews available anywhere. 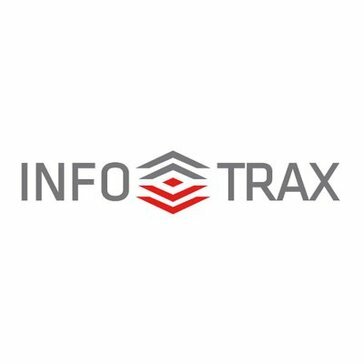 DataTrax is an enterprise-level software that simplifies how the order and distributor interfaces come together to accurately and quickly calculate payouts. The Freedom software suite from ByDesign provides everything you need to manage your business, and gives you the flexibility to integrate third-party software or existing company data. MLM, Party Plan and Direct Sales software. MLM Software for Multilevel network marketing & Direct selling business. Netsoft MLM Software is a MLM software with advanced features. MLM, Network Marketing, Affiliate Tracking, Website Replicator, & Shopping Cart software. AdCurve is an online campaign management platform for retailers. Binary MLM Software is used for MLM networking industry with administrative features and reports. The Direct Selling Software is one of the most complicated software of the MLM Business. Epixel MLM Software provides customized personalized plans which help in managing the needs of MLM companies. Epixel Solutions specializes in offering MLM software with different plans and modules like Binary Plan, Matrix Plan, Unilevel Plan, Board Plan, Generation Plan, Gift Plan, Party Plan, Monoline Plan, Stair Step Plan and some other custom calculative MLM software solutions for different Network Marketing companies. A software for membership and network marketing sites. Flexondata analyse, design, develop and reinvent our partner's businesses with open, scalable and modular solutions to complex IT problems in MLM industry. Hybrid MLM is one of the leading global MLM software provider with unbeatable solutions for all complex network marketing challenges. It operates a well optimized and highly efficient downline management scheme that can adequately handle all levels of business marketing operations. MLMInfopages.com is online MLM information portal to promote your MLM business internationally. Infinite MLM software is unified solution for all type of MLM business plans like binary, matrix, uni-level or any other compensation plans. MLM Software by Inspetta runs many successful MLM Companies, offering their Customers and Distributors a solid and dependable platform to conduct business. MLM software is a software tool used by the MLM professionals. To enhance their productivity in MLM business. It helps to manage, control and analyse all the activities in a business without wasting time. MLM Crew Software India is A Software Development company providing MLM Software, Multi Level Marketing Software or Network Marketing Software for MLM System. High quality, modern, web-based MLM software with custom compensation plan and shopping-cart replicating. Software contains backOffice, shopping-cart (with admin panel), free setup, hosting and email support. It is web based and user friendly, which allow you to track your users. Along with it assists in organizing and reporting day to day sales, revenue and profit via dashboard. It consists of well integrated with online payment gateways. Keep the track record of used/unused e-pin details. Our cloud-based ERP software for MLM companies keeps your network relationship, commission calculation, and finances running smoothly. Developing mlm software like Binary plan, Growth Plan, Level Binary Plan, Daily Binary Plan, Board plan, Australian Binary plan, Matrix plan, Generation Plan and customized plans. Take Any Product or Service and Build Your Own On-line MLM Business Around It! Bbusiness solutions, consulting, and enterprise MLM and party plan software company. The multi-level marketing software solutions feature advanced scripts, user-friendly interface, and easy-to-comprehend structure to help businesses based on network marketing achieve sales and revenue goals within time. Web based direct selling software. Ontogeny is your Enterprise Grade multi-level/ network marketing software. Prodigix Software provides software and services to the Network Marketing, MLM industry. Secure MLM is packed with various features and addon for exemplary management of MLM business. Techbase Solution MLM Software provides comprehensive solutions for start-up multi-level marketing companies as well as upgrading operating companies from unsatisfactory providers or legacy systems. TitanMLM is a MLM software that helps with marketing and management tools, and a personal web manager to help before, during, and after launch. Upline is a multi level marketing software for MLM. Ventaforce is a direct selling software solution that can be integrated with Inventory, E-wallet, E-Pin, franchisee, E-commerce, smart cards, and loyalty program. MLM software, Its full form is useful for multilevel marketing companies or product selling companies. In the present age of immense competition Direct Selling software can be just like a boon to any MLM company. In order to get total professional success MLM, MLM software plays a very crucial role. Infinite MLM software is a unified solution for all sort of MLM business plans like Binary, Matrix, Unilevel, Board, Monoline and many other MLM Compensation Plans. Infinite Open Source Solutions LLP, one of the leading software development company in India is the developer and driving force behind this successful venture. Enterprise-level direct selling software and tools to promote and manage your growing business. Hi there! Can I help you find the best Multi-level Marketing (MLM) solutions?